How does a brand of homespun kale chips transition to a higher price point? 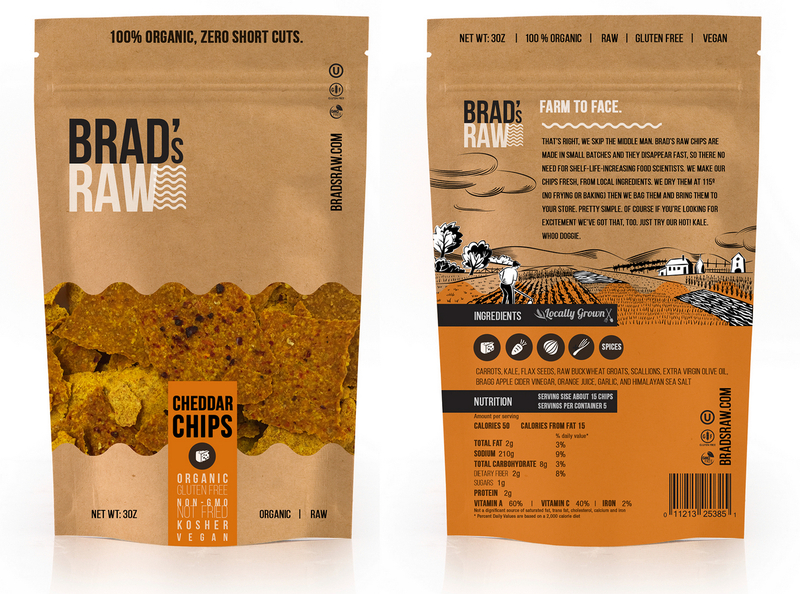 The new owners’ of Brad’s Raw Chips were looking to transition its image from “quirky & homespun” to sophisticated and contemporary. 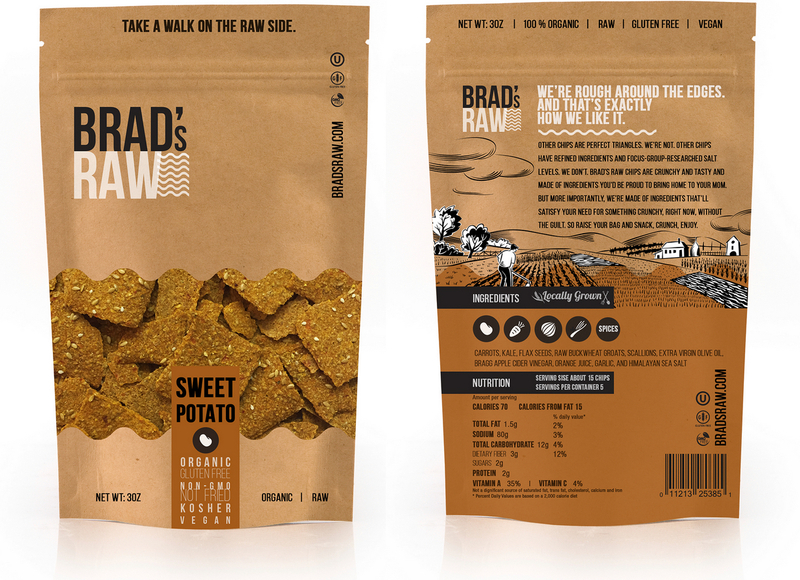 Our solution: a redesign concept that followed modern trends, while staying true to the raw/whole foods through-line that had made Brad’s a success.